Cordoba was a weird one. For a lot of our group, it was easiest our least favorite destination. Located in the middle of Argentina, Cordoba is a university town with, well, not that much else. We lived adjacent to an amazing neighborhood with a lot of bars, but aside from that one condensed area, there wasn't much else going for the city. The food was definitely the most lack luster from the year and there's not much to see or do in Cordoba proper. At the same time, compared to the extreme hustle and bustle of Buenos Aires and with Christmas this month, it seemed perfectly okay to not have too much "to do" and instead, connect with one another. I actually was only in Cordoba for a little over a week given that I had a work trip the first couple weeks of December and flew to meet my parents at the end of the month in the Dominican Republic for our annual Christmas trip. I was told that I didn't miss much and truthfully, I feel like I saw pretty much all that Cordoba had to offer in just those 10 days. I missed Christmas with my #tramily, but I was able to partake in the awesomeness that was "Pho with Chau." One of our fellow travelers, Chau, is originally from Vietnam and she wanted to share with us her favorite home dish, Pho, so she literally bought the biggest pot in Cordoba and invited us all over for a traditional feast. It was absolutely delectable, and I couldn't believe her generosity to cook for 40 people over the course of two nights - nonetheless with enough for seconds. With Pho with Chau, Christmas week and a fun night barhopping, this was definitely the month where we all felt most connected with one another and more than ever happy for our home away from home. Even with such a short amount of time in Cordoba, I was able to squeeze in a lot - read below for my top three moments of the month. About two hours outside of Cordoba lies the small German town La Cumbrecita. Cumbrecita's founders planted pine trees all along the mountains to create an alpine environment, and the charming town has been attracting tourists since the 1930s. We ventured to the town to get a break from the heat in Cordoba, to hike through the forest and indulge in delicious raclette - which is basically melted cheese over everything. 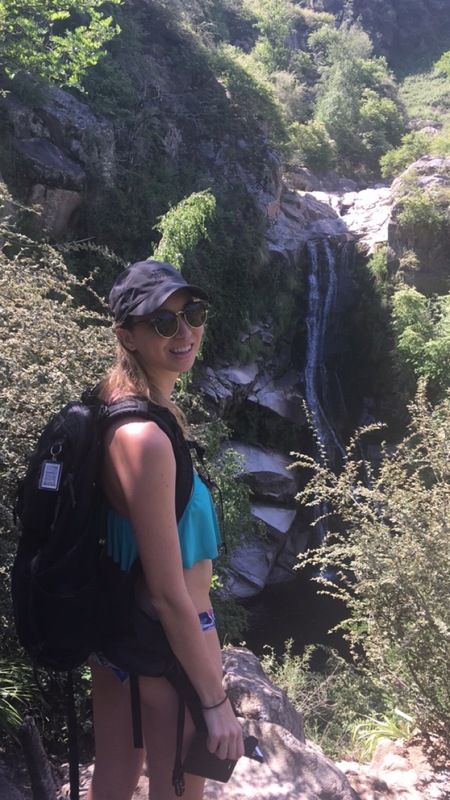 It was such a fun way to escape the city, see more of what Argentina's countryside has to offer and cool off. I definitely recommend going here if you ever find your way to the center of Argentina. Read how to use public transport to get there from Cordoba here. A highly ambitious task...one of my good friends Kim looked to get us all in the festive spirit by organizing a "Twelve Pubs of Christmas" bar crawl the Friday before Christmas. We had a crazy ambition to go to twelve bars in one night, with a special task to complete in each bar. My favorite was only being able to take a sip from your drink if someone else fed it to you, which made for a lot of hilarity. I had to leave for the airport after bar 5, but I think the crew only made it to bar 8 before calling it a sloppy quits, but an ultimate success. For one of our "track" events, aka carefully curated mini-adventures that help you learn more of the local culture, we headed out to the mountains around Cordoba to visit an eco-commune. I don't remember the name of the eco-commune, but I remember thinking that what they started building was pretty noble and a great principle. Hoping to have a fully sustainable and peaceful environment, the commune has a few rules in play, including if you have a disagreement with someone, talk it out directly with them. I find this something we can all put into practice more in our personal and professional lives, in an effort to take toxic "behind-one's-back" conversations from unproductive to productive disagreement resolutions. But, the ultimate highlight for us this day wasn't learning about the eco-commune, but surprisingly was learning how to create a vegan strawberry cheesecake dessert. Our culinary host for the day was HYSTERICAL. I would say give the man a TV show, but I think his potty mouth would not be able to be aired. He didn't miss a single beat in engaging with each and every one of us, making jokes and at the same time, creating a beautiful dessert for us. We were all in stitches laughing and in high spirits for the ride back home.